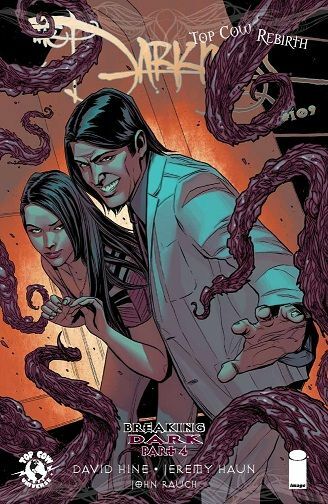 'BREAKING DARK,' Part Four Jackie Estacado has made a lot of enemies, but he has no idea how powerful the gangster Balakov has become. Without the Darkness at his command, will Jackie be able to protect his family? DAVID HINE (THE DARKNESS: FOUR HORSEMEN, THE BULLETPROOF COFFIN) and JEREMY HAUN (ARTIFACTS, Detective Comics) conclude their second story arc that will question everything you think you know about the Top Cow universe.